Time to have your rugs washed? You've come to the right place. We evaluate your rug's material, weave and dyes to customize our clean-by-hand process. Our practice of individually tailoring our procedures for each hand-made wool, silk or antique rug requires an extensive knowledge of handmade rugs and the engineering and manufacture that goes into them. Each piece is properly dusted and prepared for an immersion process if the structure permits. 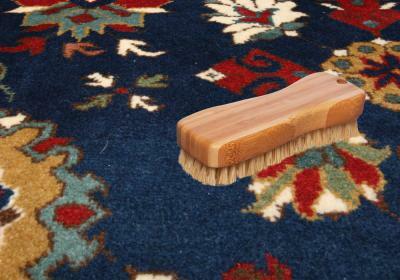 Rugs are thoroughly washed front and back to include special attention to fringes and structural integrity so to apply the appropriate degree of agitation. We always welcome your question about the procedure most appropriate for your hand knotted and woven rugs. Contact us at (864)895-6544 to find out more about how we can assist you.